Did you know that every major advance in the fight against breast cancer has been touched by Susan G. Komen ®? That we’ve provided more money for breast cancer research and community health programs than any entity besides the U.S. government? 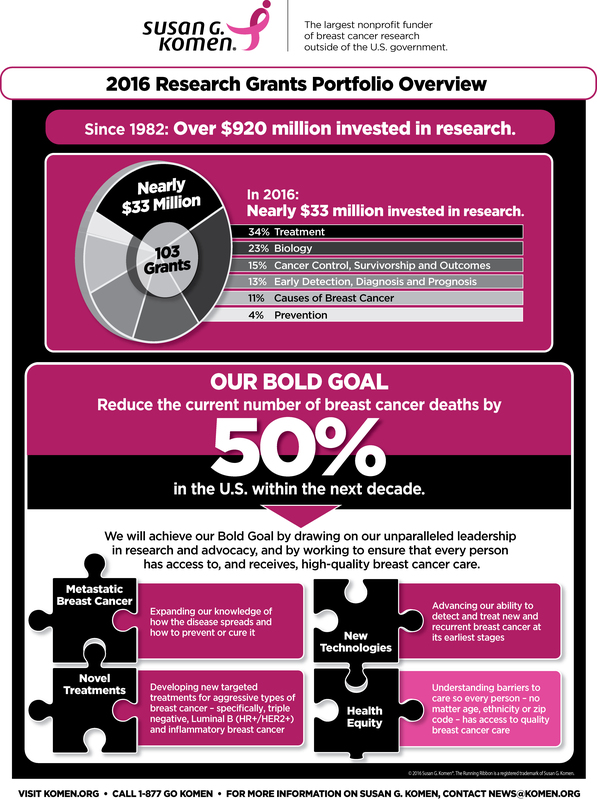 Komen’s commitment to supporting life-saving research has never been stronger! 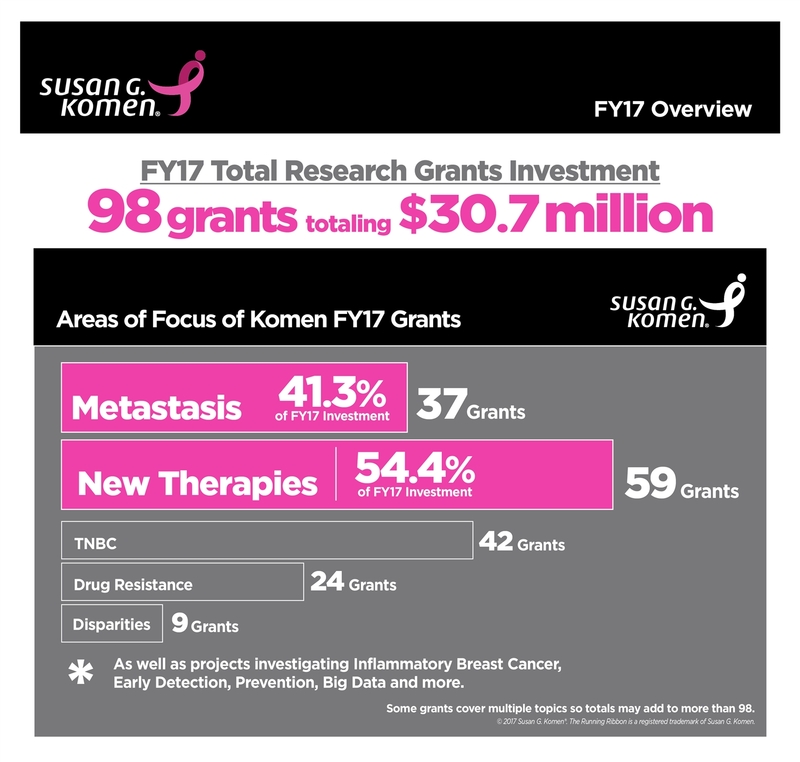 Building on years of funding research to find the causes and cures of breast cancer, Komen continues its important new focus on research that will speed the translation of discoveries into reductions in breast cancer mortality and/or incidence within the next decade and on addressing disparities in breast cancer across populations. A minimum of 25 percent of the net income from each Affiliate, including our affiliate, supports the Komen Research, Evaluation and Scientific Program, which funds groundbreaking breast cancer research, meritorious awards and educational and scientific conferences around the world.